Hili Company, the logistics division of Hili Ventures, has entered into a joint venture agreement with leading international energy logistics company Peterson to provide oil and gas logistics services across the Mediterranean and North Africa. Peterson offers a comprehensive range of safe and value added logistics solutions to the global energy industry from locations including the Netherlands, North Africa and the northeast of Scotland. 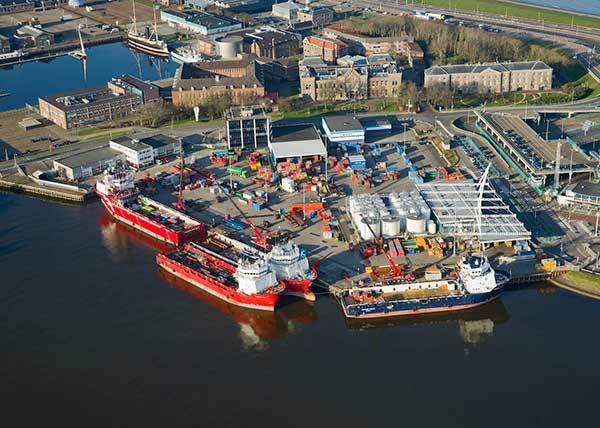 Established in 1920, the organisation has expanded throughout the UK with facilities at several prominent ports, including an integrated an integrated asset base in Aberdeen. The joint venture marries Peterson’s expertise in global oil and gas support with the wide-ranging capabilities of Hili Company, the internationally-focused group incorporating key capabilities in logistics, including global air, road and sea freight, ship agency and tramper services, clearances and deliveries, warehousing, courier solutions, ship-to-ship operations, and project cargo. Its portfolio includes Mediterranean shipping and logistics firm Carmelo Caruana Company Ltd., logistics firms Baltic Freight Services, operating from Vilnius, and Prime Logistics based in Minsk, and a joint venture with leading shipping line CMS CGM. Peterson director Jim McSporran said: “Our agreement with Hili Company provides us with additional strength to better serve our clients in this important region. As a result, we look forward to providing customers in the Mediterranean and North Africa with even greater cost-effective and innovative supply chain solutions.